Leader: God is good all the time. Response: All the time God is good. We say this often. Sometimes with exuberance. Yet sometimes we don’t believe it. Some of us never believe it. Because how can God be good when my life hurts so much? How can there be any good in me because I know my shame? How can God be good to me? This entire word “good” doesn’t belong in my broken life. Or I work so hard at “being good” that I’m exhausted and still feel unloved. Yet goodness is a fruit of the Spirit. Goodness should be a part of our Christian life. We should ooze goodness. But it is easier to try to be good. To do those good works as a means to show our worthiness (so maybe you can believe you are really worthy). Goodness becomes yet another way we try to control our faith. Instead of simply living our lives out of the truth that we were created good. Worthiness is our birthright. You were enough the minute you were born. You are going to be asked to take another brave and vulnerable look at yourself. That’s where this series on the fruits of the Spirit has been leading. We once thought the fruits of the Spirit were a simple checklist to gauge how our faith is growing. Instead the fruits of the Spirit really are challenging us to live braver lives. Read all the challenges of Love, Joy, Peace, Patience, and Kindness. 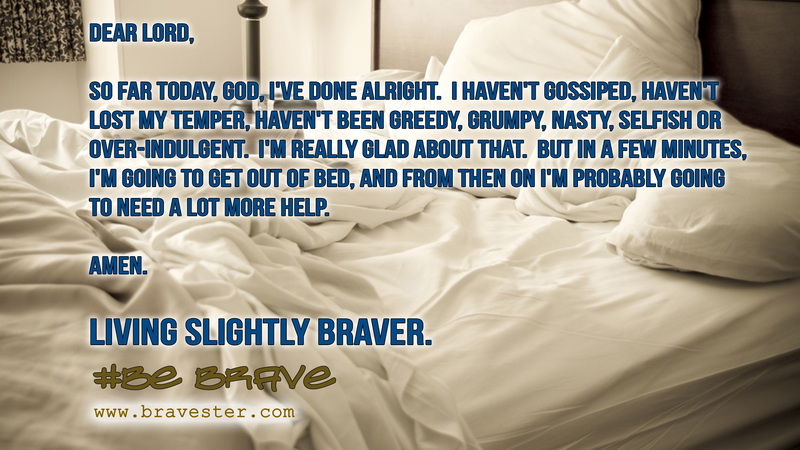 Yes, braver lives with your imperfectness. Those who have a strong sense of love and belonging have the bravery to be imperfect. Imperfectly, but together. That is goodness. We can try and try and try to be good. We can hustle and perform covering our cracks and imperfectness with our good works. We can exhaust ourselves doing this and still feel like we are never enough. Or never loved. Or never good. Is the hustle of your life believing that if you can get yourself together and do things better, maybe closer to the scale of perfect, you will then be good? But you are not like that, for you are a chosen people. You are royal priests, a holy nation, God’s very own possession. As a result, you can show others the goodness of God, for he called you out of the darkness into his wonderful light. Once you had no identity as a people; now you are God’s people. Once you received no mercy; now you have received God’s mercy. 1 Peter 2:9-10. This is all true about you. You are chosen. You are royalty. You are holy. You are God’s very own possession. You show others the goodness of God when your cracks allow the light to get in. You are God’s person. God says to you, But God showed his great love for us by sending Christ to die for us while we were still sinners. Romans 5:8. We got this love before we even tried to clean ourselves up. Before we tried and tried and tried to earn it. When we were still a faulty cracked mess, we got His love already. Worthiness is our birthright. We are imperfectly together. As our faith grows these imperfections become less while at the same time new ones get revealed. Truth is, we never become perfect. We just continue to grow and the fruit of this growth are these vulnerable fruits of the Spirit (which will always challenge us). This is good. At my church there is this older couple who are simply adorable and my biggest fans. I cannot have enough praise for their support of me, both verbally and in presence, plus their sticktuitiveness. Yet when I praise one of them, I am reminded by them that they are imperfect. Yes they are. They are 2 Corinthians 4:7 in the flesh, We now have this light shining in our hearts, but we ourselves are like fragile clay jars containing this great treasure. This makes it clear that our great power is from God, not from ourselves. They are my kind of imperfect because we are together. This endears me to them all the more. They live bravely and they are loved by many. These are the kind of people we need in our lives. The willingness to show up in our imperfectness changes us, it makes us a little braver each time. It is brave decision upon brave decision upon brave decision. It is giving kindness. It is risking being disappointed or having your heart broken. It is having these vulnerable fruits of the Spirit evident in our lives. Including goodness. Because worthiness is still your birthright.